Hi everyone, I want to wish you a very happy new year! Thanks for visiting my little blog over the last 2.5 years. Thanks for your sweet comments and the inspiration you provide to me. I love how blogging has changed my life. I've gotten to know so many of you around the world. I've been lucky to actually meet several of you in real life, which has been a complete thrill. Let me tell you the tale of my annual Christmas card that became this Happy New Year card instead. I struggled with the design this year and ran behind schedule. 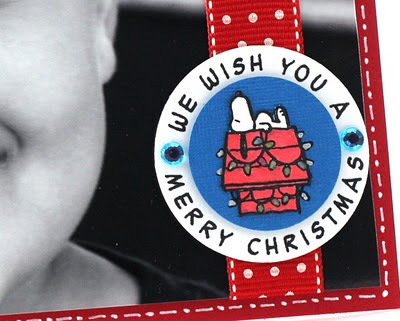 I stamped several "Merry Christmas" and "Feliz Navidad" cards, but then had to switch to making them "Happy New Year" cards instead, since they would not be sent out before Christmas. 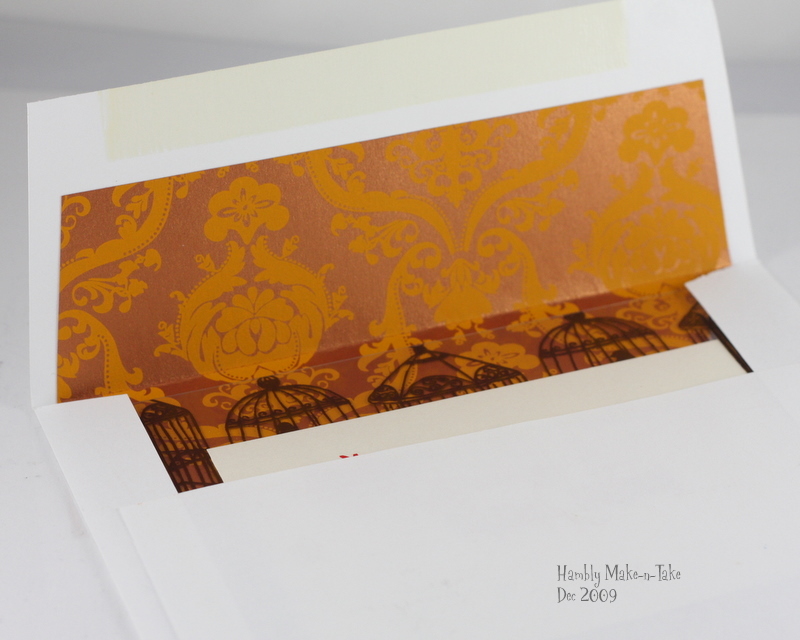 Several items were pre-determined: I was using this Simply Chartreuse and Plum Pudding paper from Papertrey Ink and the patterned paper from them as well. 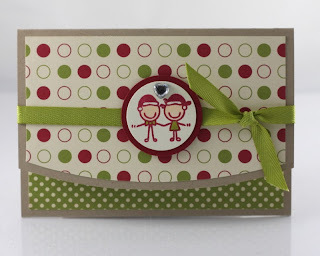 I also had some patterned paper from Stampin' Up. I loved this swirl background stamp from Hero Arts that I bought when I was in Seattle last month. I wanted to use baker's twine. I wanted the cards to be relatively flat, so they wouldn't cost extra postage. 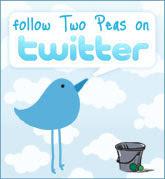 Normally, I'll make about 4 different designs for the card. This year, I had many more variations of the design! Come on, Anthonette, make up your mind!!! Here's a photo collage of the variations of the design in making the 50 cards. Next year, I'm going to order a pre-made photo card and then just embellish it slightly. I totally LOVED this card that Kim Hughes ordered from Snapfish and then embellished with baker's twine, buttons, and some cardstock leaves. Hi Everyone, Feliz Navidad to those of you who celebrate! Hope you had a happy & blessed Christmas. I'm lounging around & taking it easy. I thought I'd try blogging from my iPhone, since I've never done it before. I couldn't publish this post from my iPhone because there was a problem with the photo, so I still haven't blogged from my phone. Here's a picture of our tree. 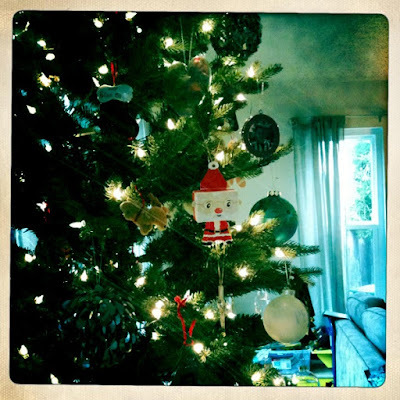 I used the Hipstamic app on my iPhone for the picture. The Little Guy had fun tracking Santa last night on NORAD's Santa website. He loved all his gifts (mainly Legos). He's been a really good kid. This morning I baked Pioneer Woman's recipe for cinnamon rolls; oh my...delicious! Did you see her recently on the Today Show making this recipe? I'm going to make them every Christmas morning from now on; they are that good. ... is Sarah Martina Parker! I emailed you your $25 Kiva Gift Card. This morning bright and early I drove to a new Target store near me. To show you how much I don't shop, the store has been open since mid-October and this was my first time visiting. Since I was sleep-deprived, I decided to get in line for a non-fat peppermint mocha caffeine boost at the Starbucks located in the store. Three people were ahead of me. The woman paying for her coffee announced that she was buying drinks for the 3 of us in line behind her; how incredibly sweet is that? This is the first time I've received a random act of kindness like this. It totally made my day and I actually enjoyed shopping. I was there for 2 hours. The store was very empty, which made it even nicer. Go out and have a great day and be inspired to create your own random act of kindness! Hey there! It's been a busy couple of days. I've been creating our annual photo Christmas card. Instead of Christmas cards, my cards will arrive closer to New Years...sigh. I'll post it here in a couple of days. 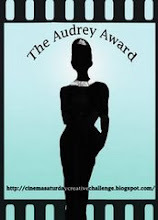 Before I forget, please go to this post and add your name for some blog candy. Deadline is tonight! 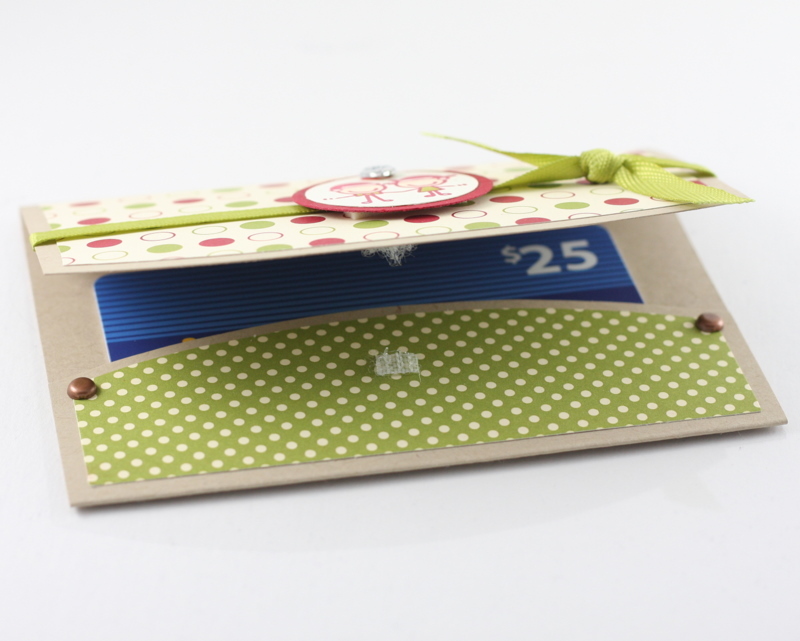 Here's a card and matching gift card holder that I designed for PSA Essentials. The stamps come from a set called Smirk Happy Holidays. 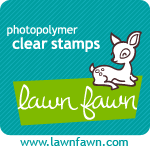 The designer paper comes Stampin' Up. 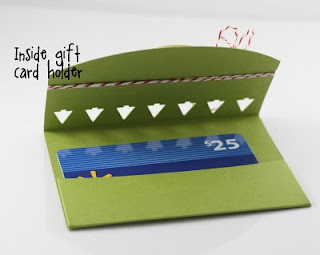 The gift card holder template comes from Kristina Werner. Want a $25 Kiva Gift Card? Fellow paper crafter, Savitri Wilder, also makes loans through Kiva. This year, Oprah chose Kiva as one of her "Favorite Things 2010". I first heard about Kiva on Oprah's show back in June of 2007. I've been making micro-loans through Kiva ever since. Kiva has an extremely high success rate of people paying back their loans. When the money is paid back, you can reloan the money or withdraw the money from Kiva. In the 66 loans my family and I have made, only 2 entrepreneurs have only partially paid back the $25 each; that's an amazing number. What do you have to do? Just enter a comment below before Monday, December 20th at 11:59 PM PST. 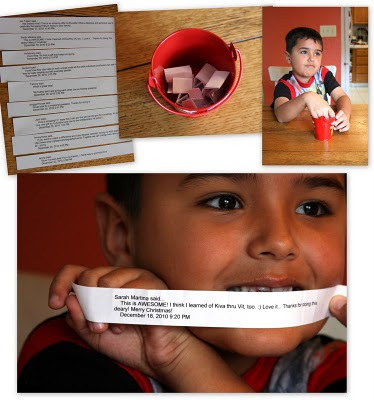 I'll use my version of Random.org (my son, Kalino) to pick a winner on Tuesday. The gift card will be emailed to the winner. Good luck! Wow, the hours each day pass by too quick! I started this blog post this morning and it's already after 10 PM. Yikes! Instead of finishing this blog post, I was a regular Martha Stewart in the kitchen today (well, not really..you'll see why in a second). I baked a raspberry cheesecake for Sweetie's party at work tomorrow. It's almost done. It's chillin' so I can add the raspberry layer before the night is done. I roasted eggplant and red, green, and yellow bell peppers. I burned the eggplant! What a waste. I didn't burn the peppers. I made what I call a Martha Stewart pressed sandwich. I'll have to give you the recipe here at another time. It's yummy! 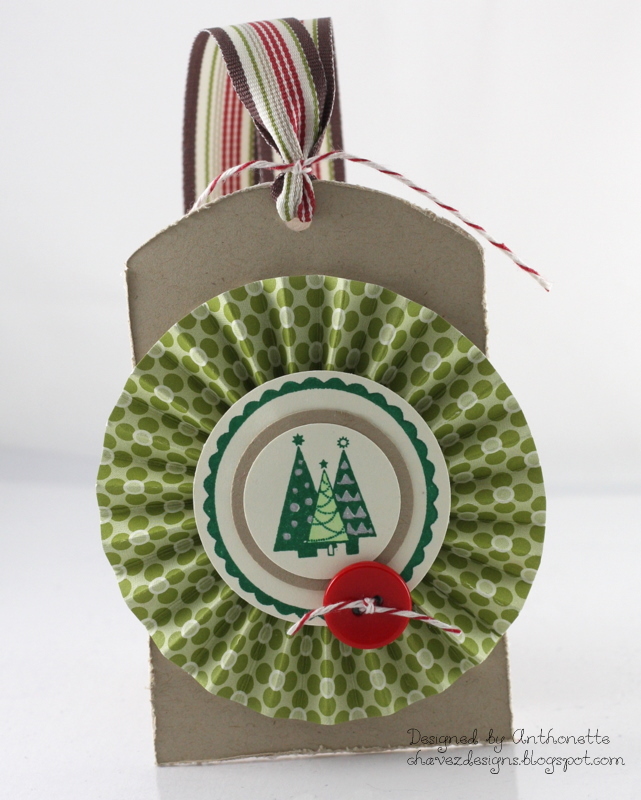 Today, this tag and some gift card holders I created for PSA Essentials were featured on their blog today. Here's a gift card holder that I cut using my Silhouette cutter. The reindeer stamp comes from a set called Smirk Merry Christmas. 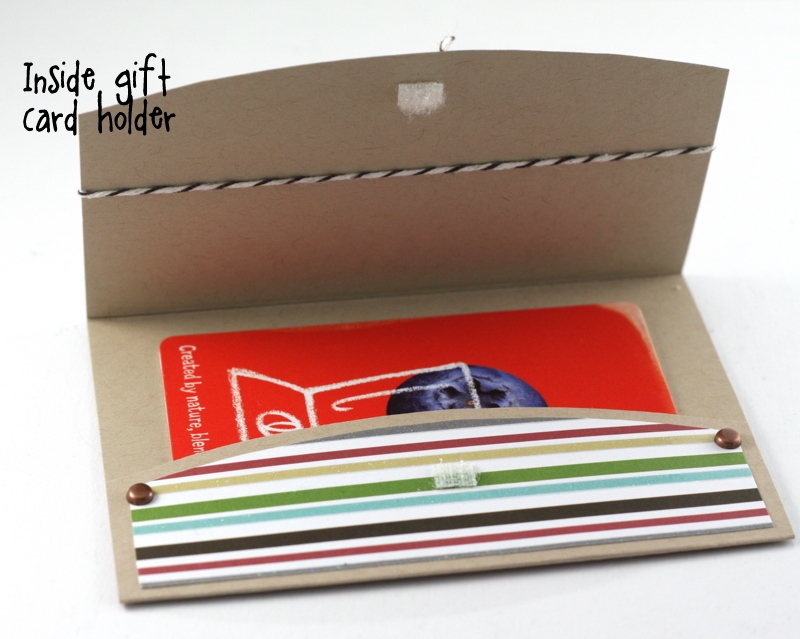 Here's how the gift card holder looks on the inside. 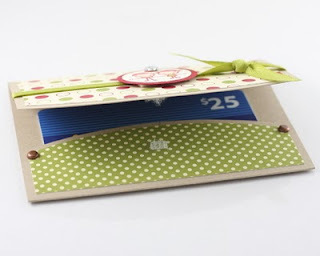 This next gift card holder is from a template from Kristina Werner. Love this template! I've used before (here and here). 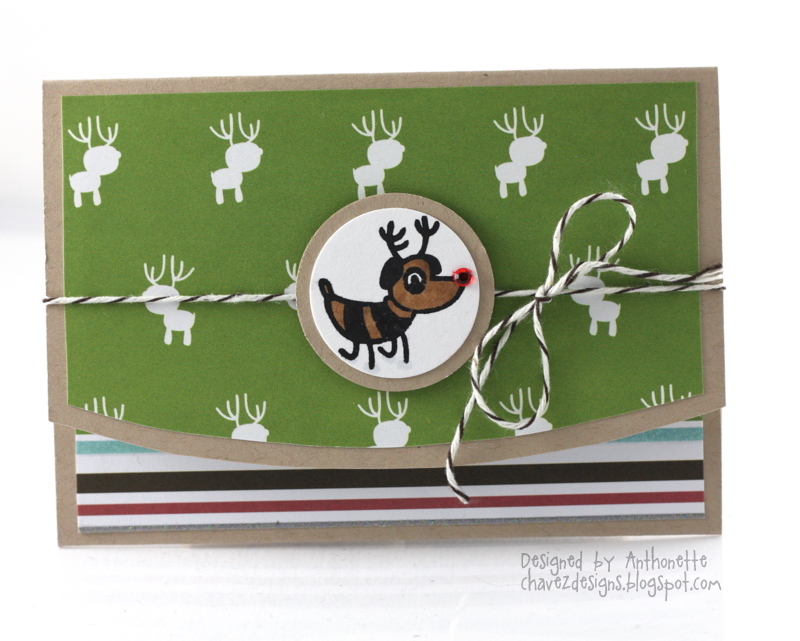 The reindeer stamp is from another Smirk set called Smirk Happy Holidays. Here's a view of the inside. 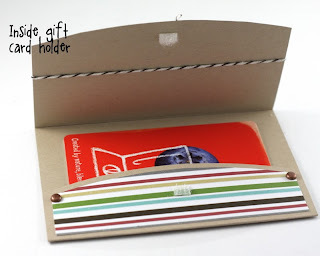 Go forth my dears and make some gift card holders and tags! There are several ways to win some PSA Essentials products. You have until tomorrow night (Wed, December 15th @ 11:59 PM EST) to enter this giveway. Paper Crafts Magazine and PSA Essentials also have a giveaway on their Facebook pages, but you have to hurry! Well, I've got to get to bed early. I'll be on an all-day field trip tomorrow with Kalino and his classmates. Later! Hi everyone, hope had a great weekend. Here's a tag I designed for a wedding that took place today at a local winery. Angie, one of our school secretaries is the mother of the groom. I previously created these tags for Angie's mom. I cut the bottom portion of the tag from Whisper White cardstock using the Silhouette cutter. I stamped a portion of the Medallion stamp using Elegant Eggplant ink on white paper and glued it to the Elegant Eggplant tag. I cut a 3/8" strip of textured Rose Red paper and glued it to the middle of the tag. The text was created using Microsoft Word and a font called Marriage Script that I got it here. I cut the half circles using a paper trimmer and a 1.75" circle punch. I then glued the half circles to the tag. The finishing touch was Love heart that was attached using some foam tape. Hello dear readers. Happy Hannukah to those of you celebrating the last day of Hannukah today. I am not ready for Christmas. There...I said it! I'm tired of always being behind schedule when it comes to this time of year. I've shopped for myself (do you do the same?). I have this new sweet machine! But when it comes to shopping for my family, I'm way behind schedule. I haven't started making the 65 copies our annual Christmas card. I designed this one, but I haven't finalized the design. Well, enough of my blabbing. 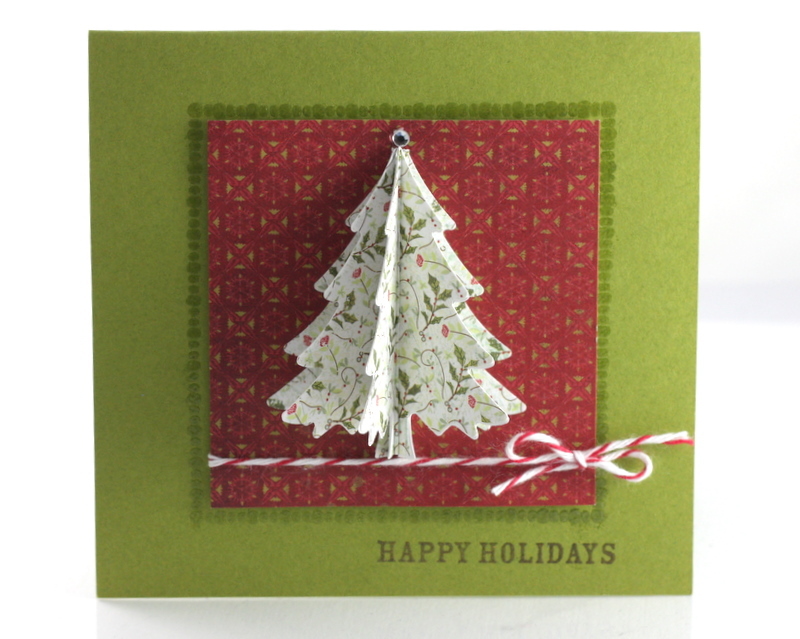 This is a 4.25" square card I made when I visited Ericka in Seattle last month. We worked till all hours of the night in her studio. I loved Ericka's selection of paper punches! I had fun using this large tree punch made by EK Success. I punched 4 trees and then scored them in half verically. I glued each half to the half of the next tree. I love that the tree folds down pretty flat for mailing purposes. I added a rhinestone to the tree top and baker's twine to finish it off. 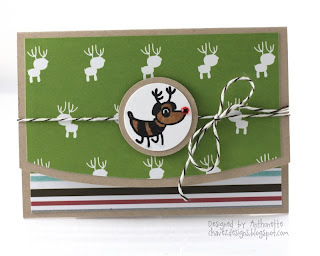 The border stamp around the square patterned paper is from a Fiskars stamp set called Layer Away Dots. I'm not sure what company make the Happy Holidays stamp. I think the paper is from Memory Box; I'm too tired to go downstairs and check. Hehe! A Hambly Make-n-Take .....From Last Year! This summer I found the make-n-take I made at Hambly Studios last December! I wondered where it was. The card and envelope were in the glove compartment of one of our cars. 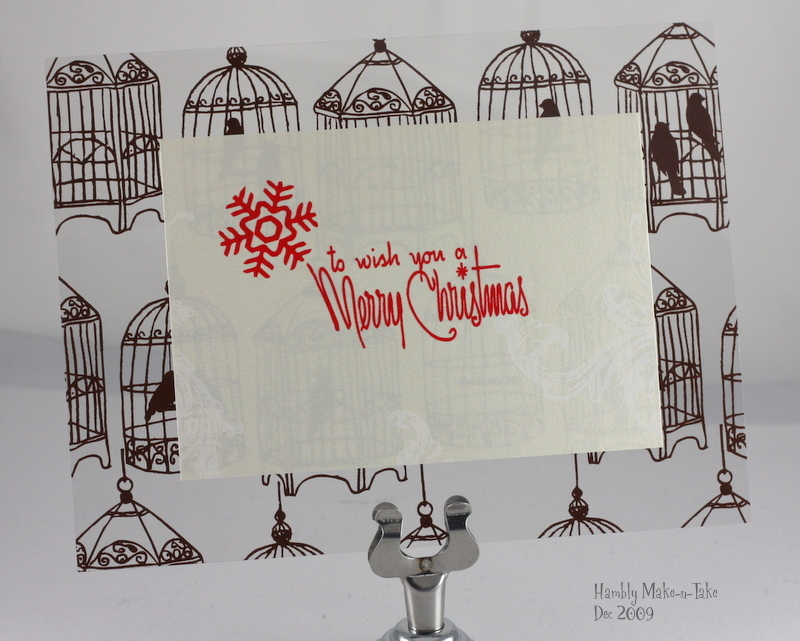 The card is a postcard-style card made from an awesome overlay. The sentiment is a rub-on. 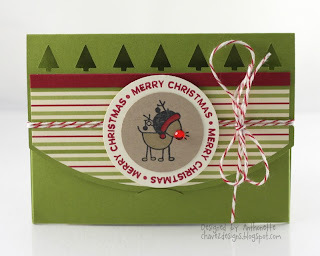 Part of the make-n-take was to also create an envelope liner with their awesome paper. If you are in the Santa Clara, CA area, there is a Holiday Open Studio event at the Hambly Studios on Tuesday, December 7th. Details here. I'm planning to go. I completely neglected my blog for a week. Between Thanksgiving and design deadlines, it's been hectic. Sorry! 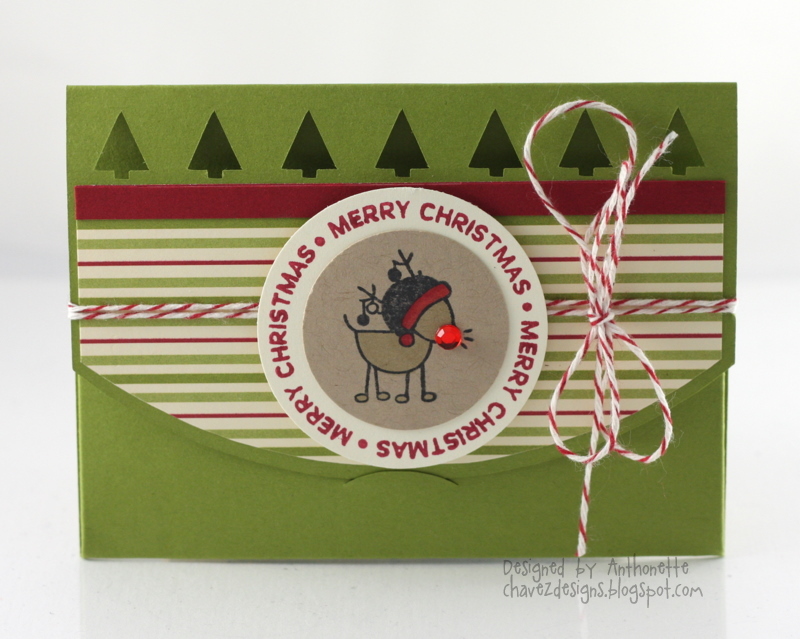 Today, a few of my cards I designed for PSA Essentials were featured on their blog. Here is my favorite card from that bunch. 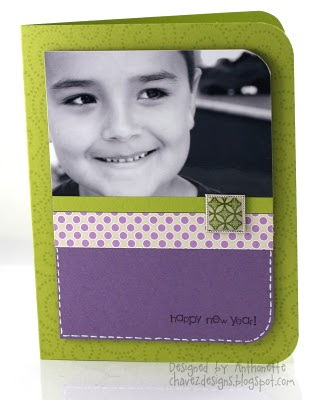 This card combines two of my favorites: photo cards and my cute son! 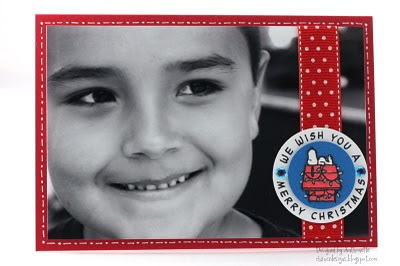 I've been designing photo cards each Christmas since the Little Guy was born 7 years ago. This picture was taken at Legoland this summer. This kid loves Legos, so it was easy to get some great natural smiles. The card is simple, except for all the paper piecing on this tiny Snoopy image. I used a glitter pen to give the string of lights some sparkle. I think it's so cool that PSA Essentials has licensed classic Peanuts images, like this one of Snoopy. Do you want to win over $150 of PSA Essentials products? All the details are at the PSA Stamp Camp blog. The deadline is Wednesday, December 15, 2010, at 11:59 PM, EST.